Are you a man over 25 with a waist size larger than 35 inches (90cm)? Are you a woman over 35 with a waist larger than 31 inches (80 cm)? Do you suffer from recurrent chest pain, especially when you exert yourself? Have you ever been diagnosed with high or borderline-high blood pressure? Do you have high or borderline-high cholesterol or triglycerides, or low HDL? Have you ever had coronary stent or bypass surgery? Do you have diabetes, or has anyone in your family had diabetes? Do you or any of your relatives have a history of heart disease at a young age? Enter your email address to receive a free monthly newsletter with the latest news on heart disease and diabetes. 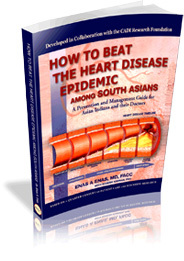 CADI (Coronary Artery Disease among Asian Indians) Research Foundation is a non-profit tax-exempt organization dedicated to reducing the ravages of heart disease around the globe, with special focus on Asian Indians - a population with the highest rate of premature coronary artery disease. I take 50 mcg of Synthroid every day. My hair is still thin, though it's stopped shedding like crazy. I'm also not depressed and tired as I used to be. I used to look and feel way too old (I'm 23). Synthroid really helps. 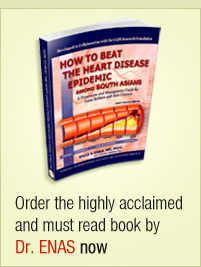 Heart Disease has now become the most predictable, preventable and treatable of all chronic diseases. Discover how you can reduce your risks to heart disease.